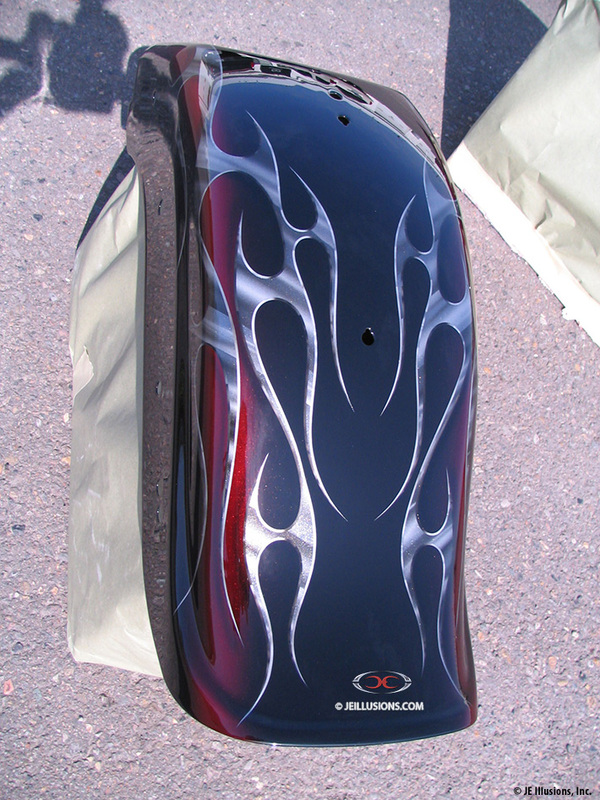 Hand airbrushed, bevel edged blade design runs through this design. 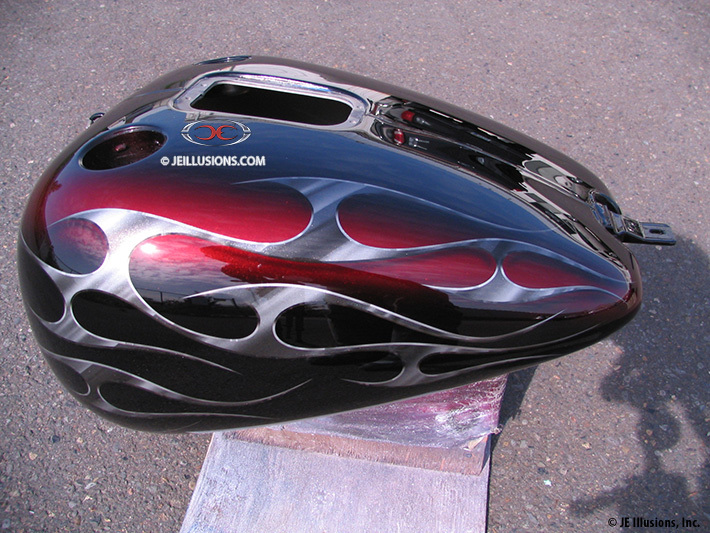 Blade design has hand airbrushed metal looking effect and added airbrushed drop shadow to add depth. 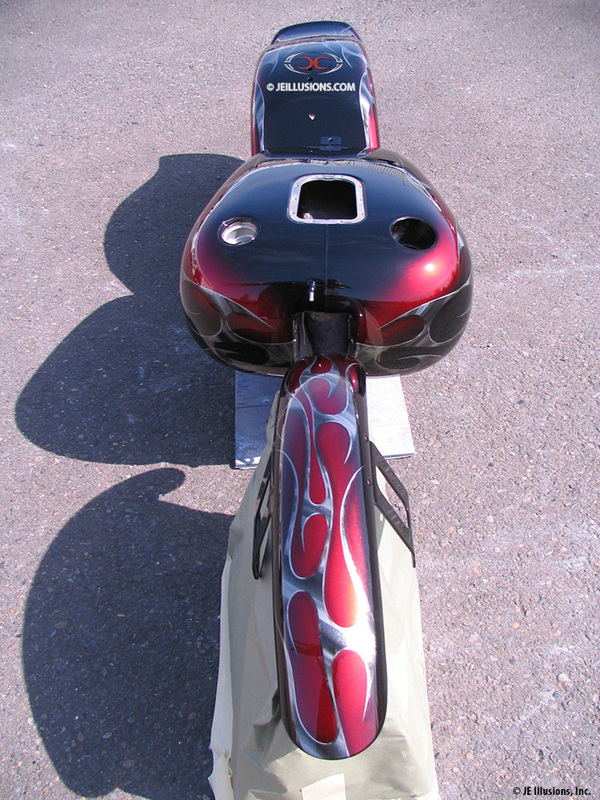 The blade design runs on both tank sides and both fenders. 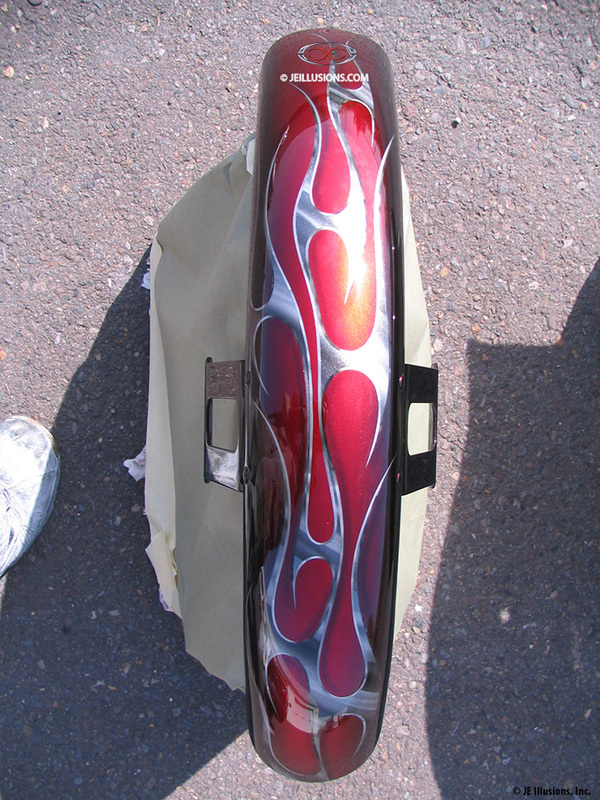 This sits on top of a high-gloss Jet Black that fades into a Deep Burgundy for the under-base.